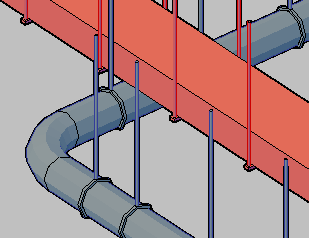 Design Master HVAC can generate a full 3D-BIM model of the ductwork and equipment. The mechanical model can be exported to an IFC file or separate DWG file. The exported file can be importanted into Revit or Navisworks to allow you to participate in the 3D collision detection process.